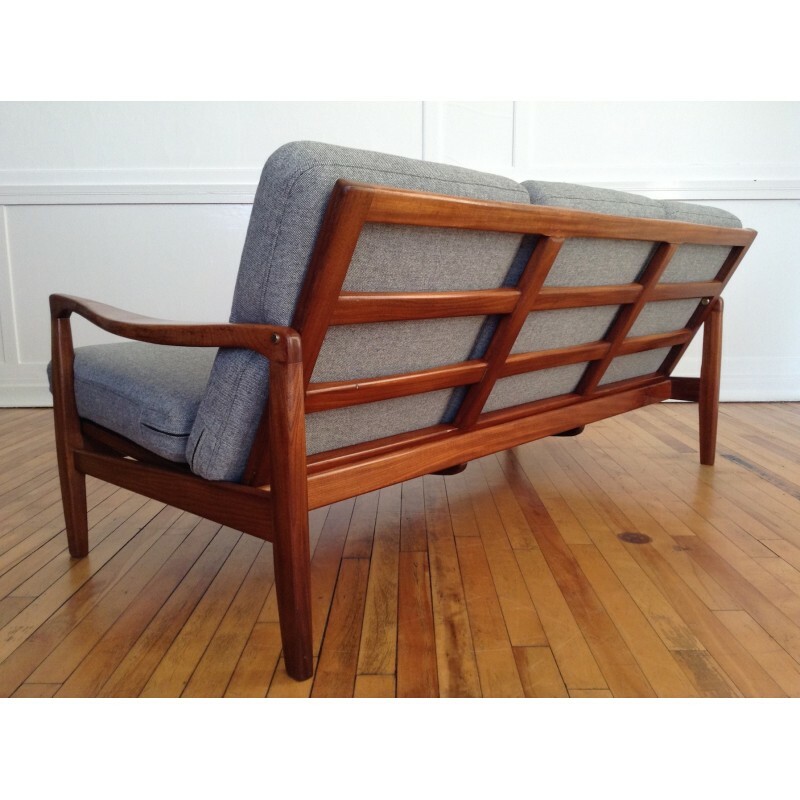 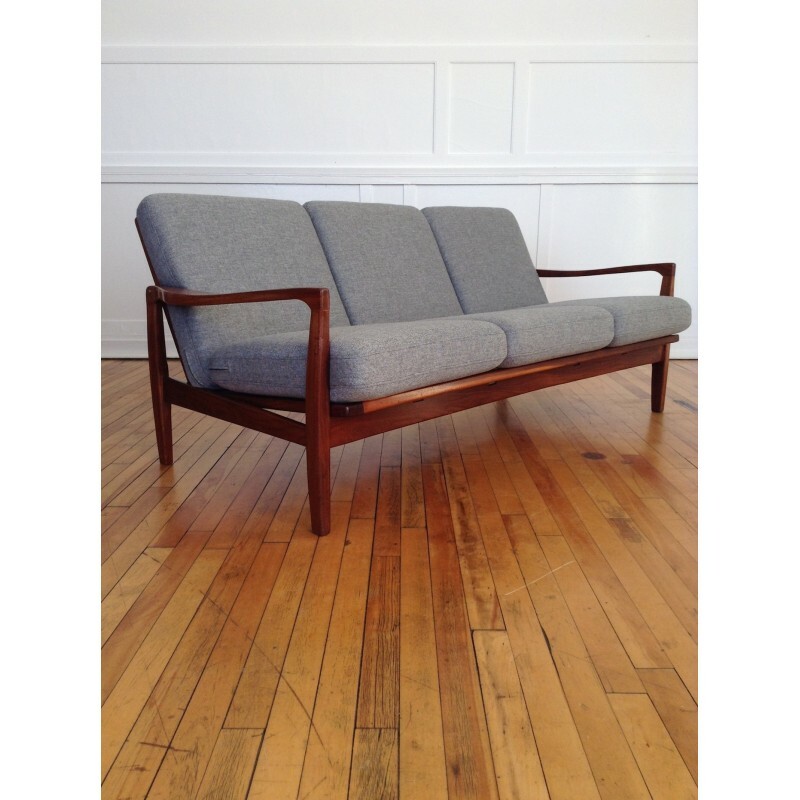 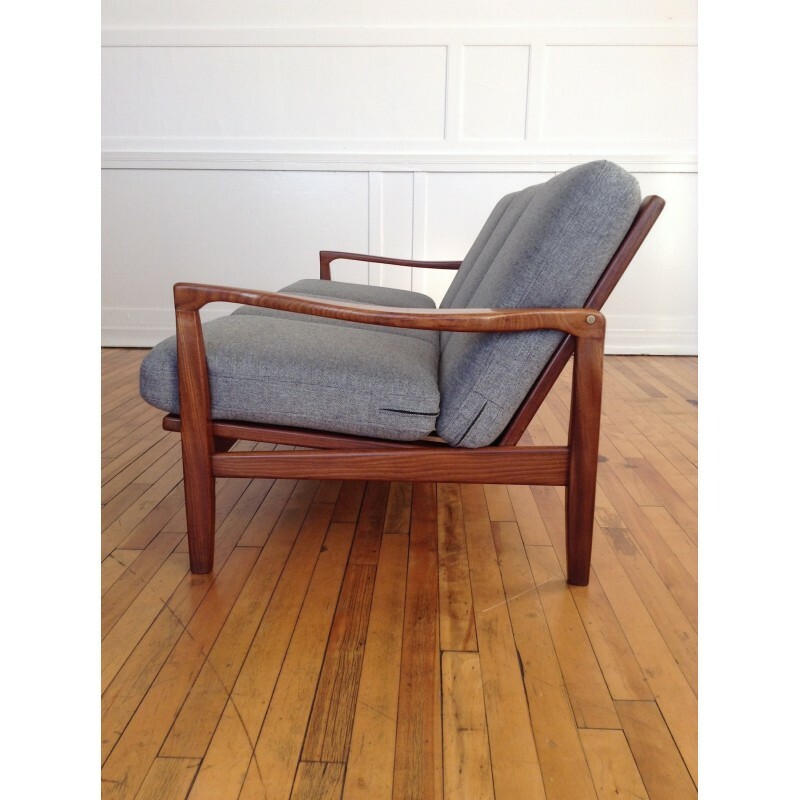 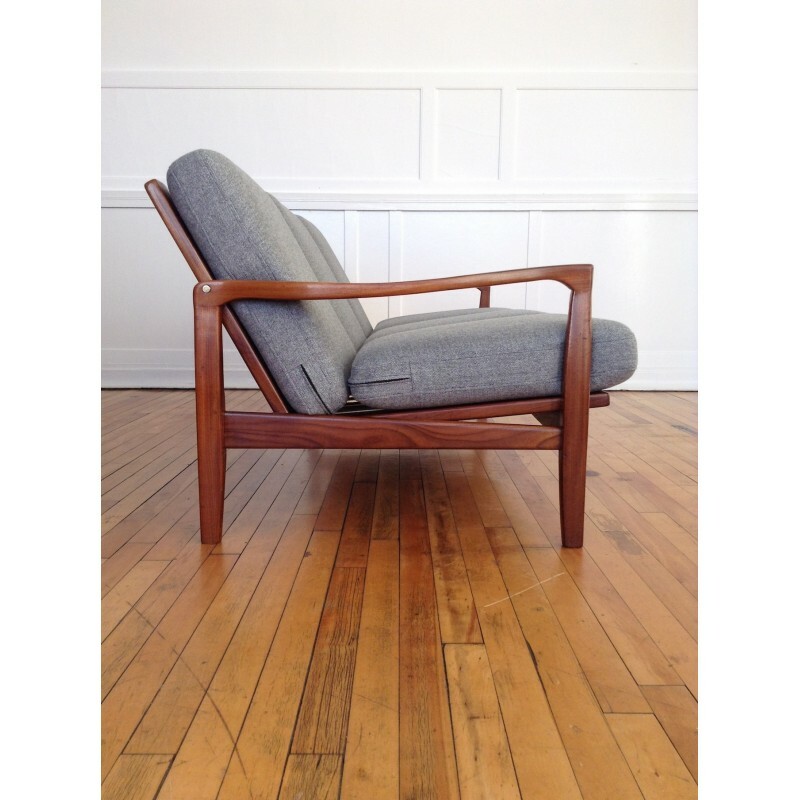 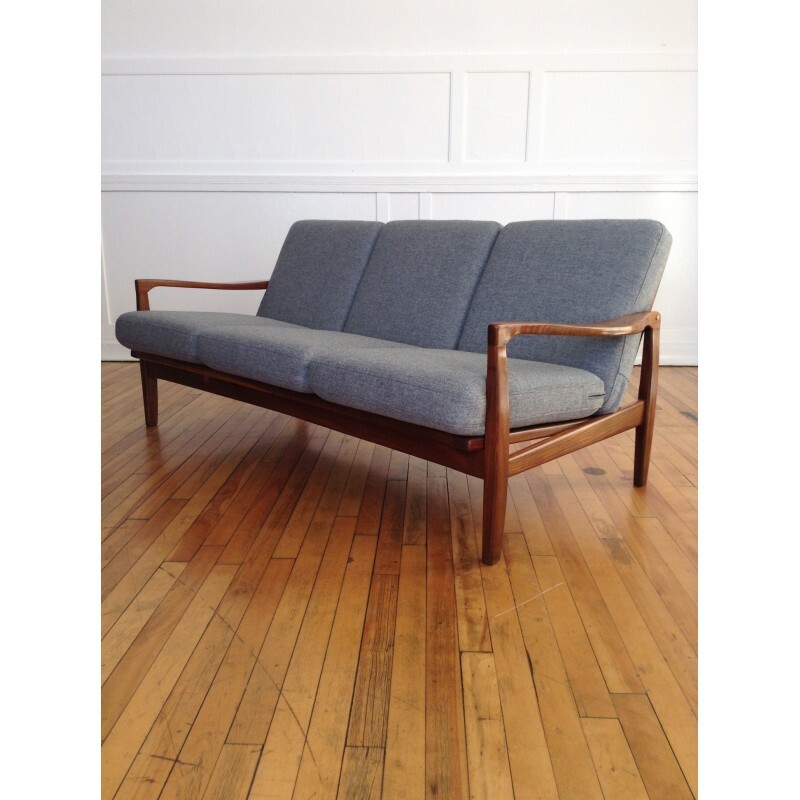 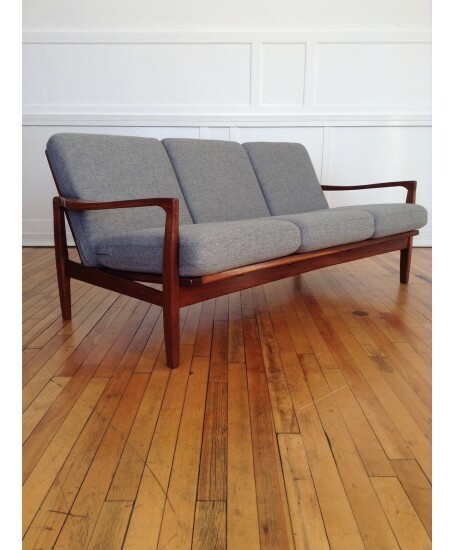 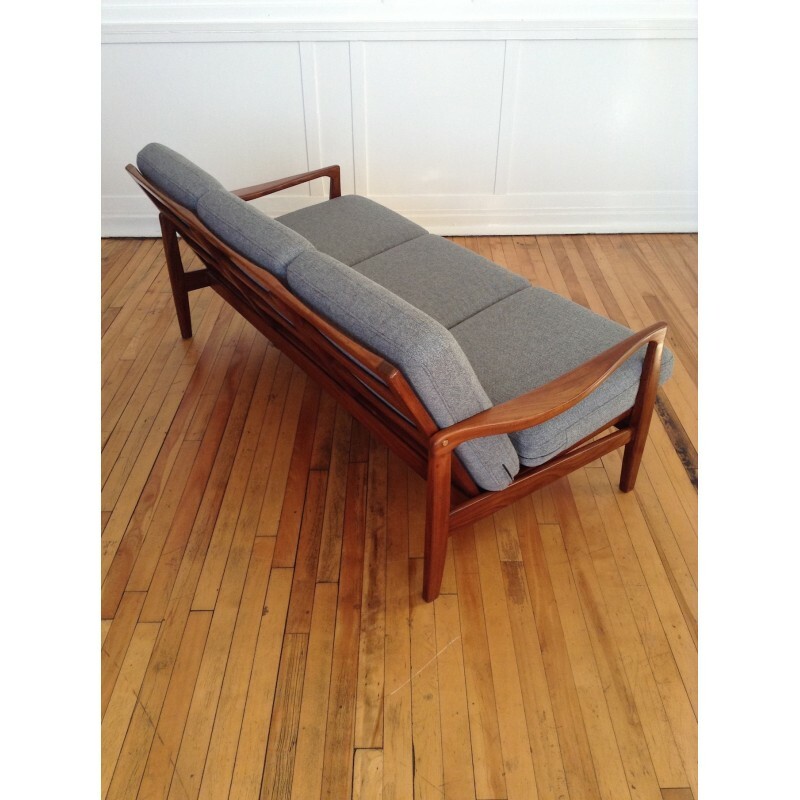 A very handsome Danish style sofa manufactured by British company Toothill, and retailed through Heal's in the 1960's. 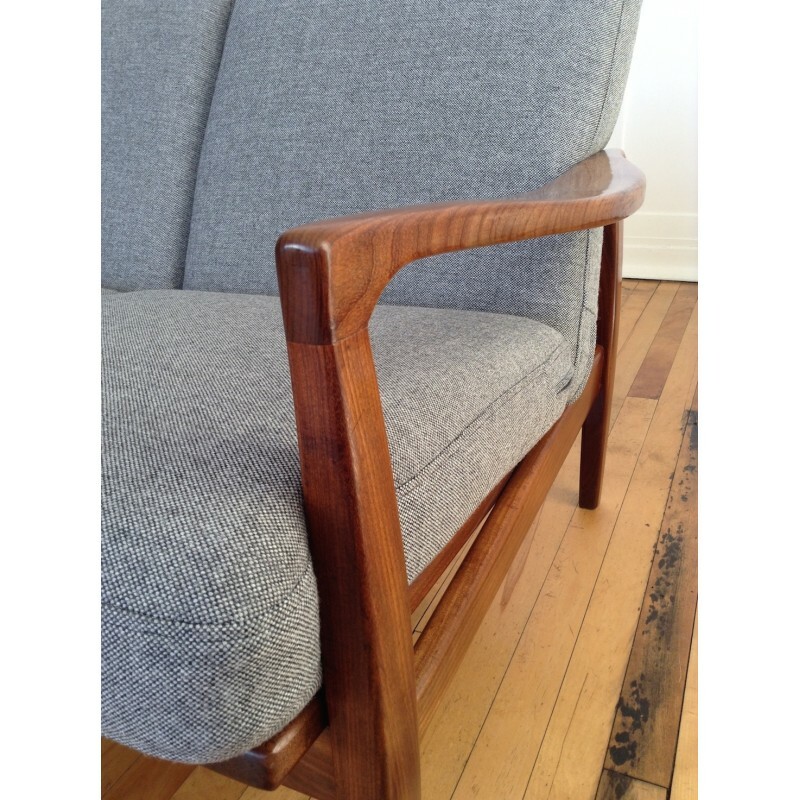 The afromosia/teak frame is in excellent condition, with only a small number of very minor marks upon close inspection. 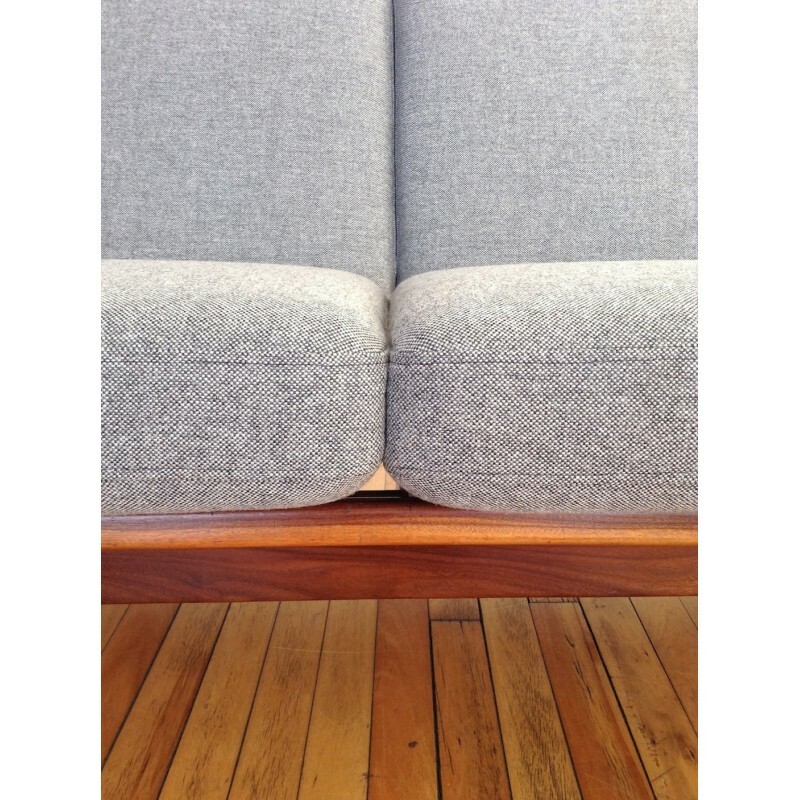 New foam cushions of the highest quality have been upholstered in a gorgeous grey wool from Svensson's 'Step' collection. 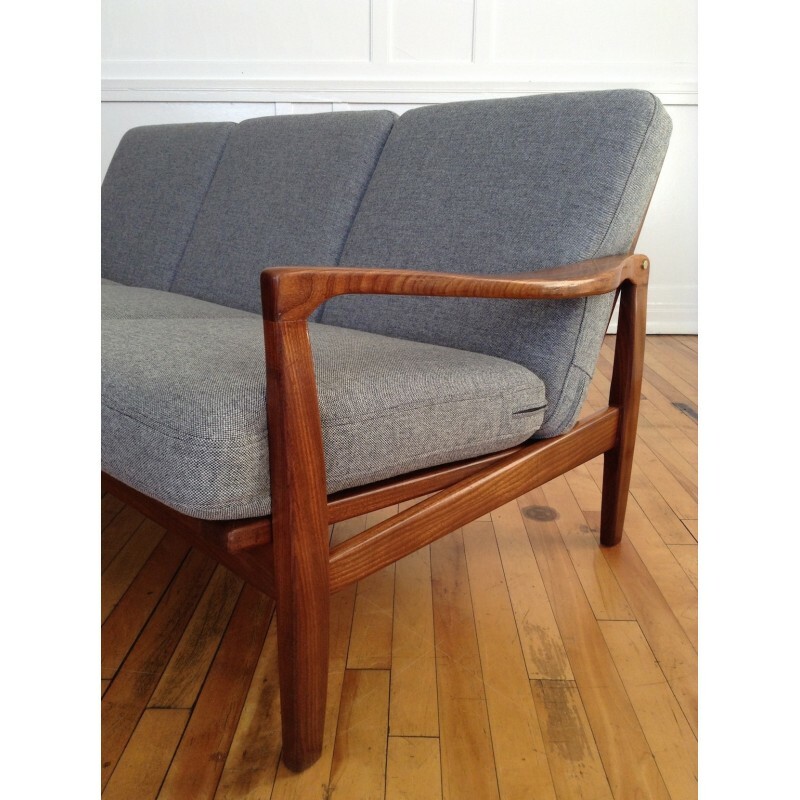 Matching pair of armchairs also available - please see the final photo and our other listings.